Certainly there are times when being at home and puttering around in my own garden is prized even more than usual. Especially for this home-body. Like so many other gardeners, my garden is a place of refuge and respite; the place I know I can go and lose that need for rushing and tight schedules. The place I'm sure to find peace and tranquility no matter what else is going on around me. After being on the road for the last ten days being home again and getting back in the garden was just as I anticipated. Refreshing and invigorating. Eating out for that many days is always a challenge. Fun at first ... but gets old fast. First stop in the garden is to check on the edibles. 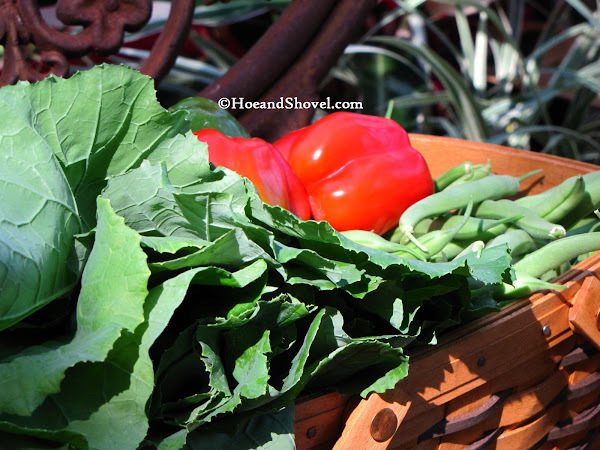 Straight from garden to table. Peace of mind. A yummy, healthy AND organic dinner to welcome us home! Collard greens and garlic stir-fry green beans paired with grilled lime-chicken breasts. Delicious home-cooking! 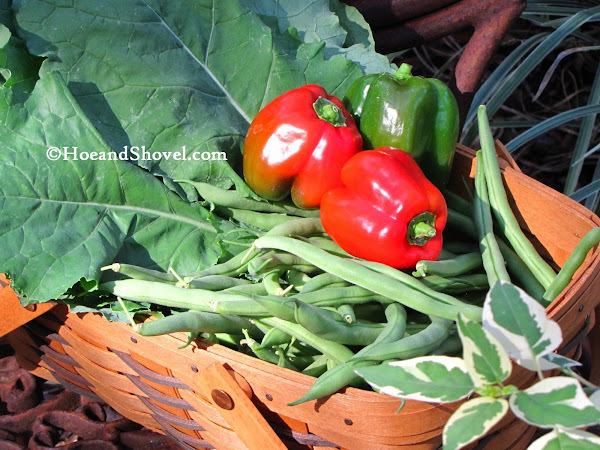 Side note**In August and September when prep for the fall edibles is a matter of an exercise in discipline ~~ it is good to remember that in a few short weeks it will all be worth whatever efforts are made. The miracle of seed-time and harvest. Newly planted and blooming Camellia sasanqua 'Stephanie Golden'. 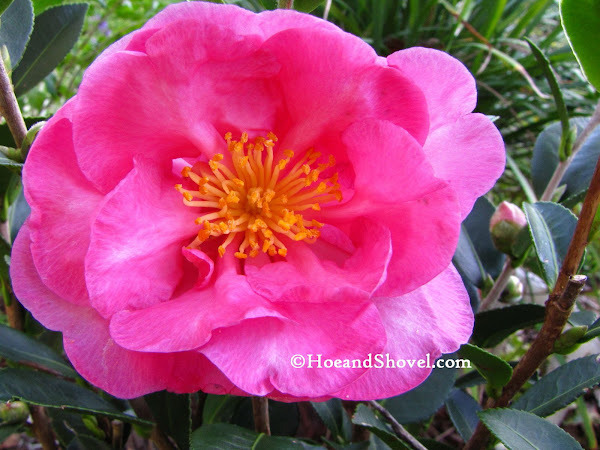 Camellias are outstanding flowering shrubs but most cultivars are not fragrant. This variety happens to have a light rosy fragrance. Adding a couple of sasanqua cultivars that flower in late fall translates to enjoying blooms earlier than the sometimes more popular japonicas which will bloom later in winter. Japonicas' flowers are larger but I'm particularly fond of the understated openness of sasanqua petals. 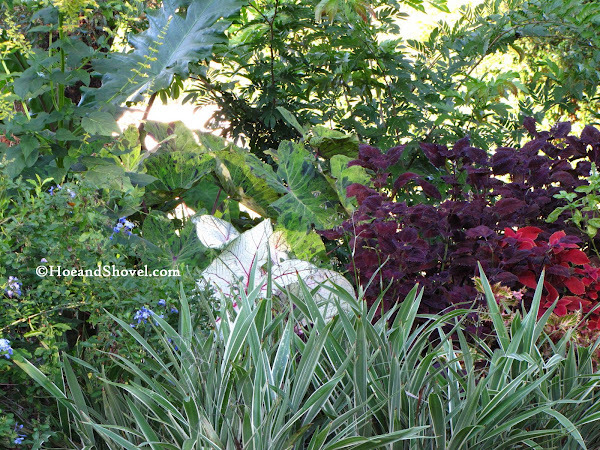 The tropical shady garden hasn't minded the drop in temperature this weekend. As long as it warms back up like promised this week. Queen Emma is sporting the start of a new budding scape. Always a joy to see its magnificent blooms and smell its lemony fragrance. And for fall interest the spent flower simultaneously displayed on the very same plant. 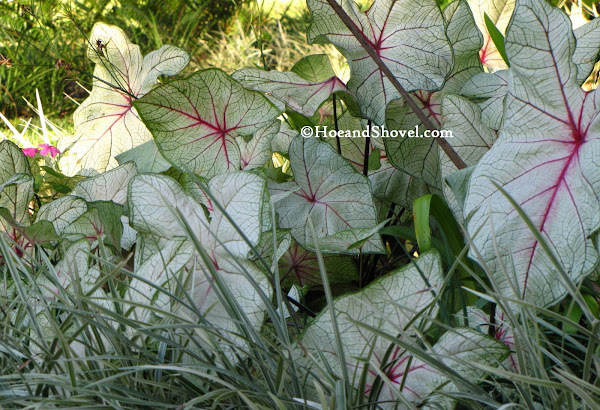 Caladiums are beginning to weaken as they fall asleep for winter. 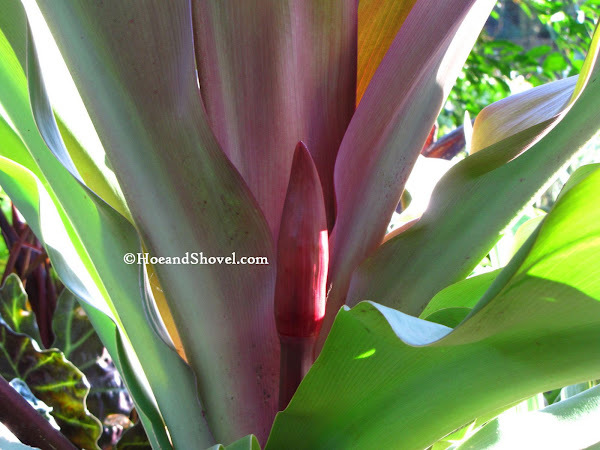 Planted as bulbs they are well worth the dollars spent for the significant foliage color they provide. 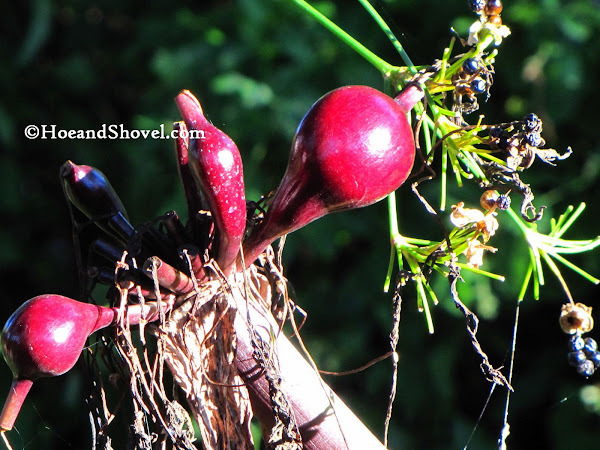 The bulbs will be left in the ground and we will patiently wait for them to re-emerge come spring. Falling over each other as they fade. We have to give them kudos for they've lasted and lasted all summer long. Perfect for creating bright and happy spots all over this garden. Colocasias, alocasias, and coleus remain strong and vibrant through these autumn days ~~ popping with deep hues that blend-in with their neighbors in the northside berm. 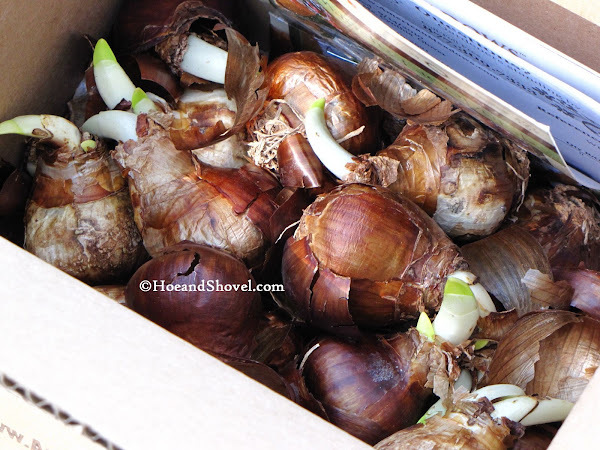 And the latest ... the paperwhite bulbs were delivered. They will go directly in the ground here for some winter-white flowers in a month or so. Your garden is looking wonderful. I look forward to seeing your paperwhites in bloom. I have only tried them twice before and they flopped over. I can't remember if it was too much shade or a warm spell when I failed with them. My next door neighbor has a lovely patch that comes up every year without fail. I've admired them from my back porch for years. There are many varieties ~~ I hope these will do as well as hers. The trick here will be to find enough sunshine for them. I'll keep everyone posted. As always, your gardens are lovely. I have a few paperwhites that have bloomed for me even down this far south. They are always a treat and their scent is a sweet delicate one. Your edibles look wonderful too. It is always great to get back 'home'. It's always good to get back home,isn't it? I've never tried paperwhites.I was always under the impressions they wouldn't do well in Florida. Interesting.I may give them a try now. Welcome back, Meems. I know exactly what you mean about getting tired of eating out. I prefer my own cooking! That box of bulbs is absolutely delicious! A boxful of potential. I know you'll help them thrive. Enjoy being home. Welcome back to your home and garden. That home-coming supper sounds delicious. What a beautiful bloom on that camellia. Mine are still buds but they are gradually opening a little, so soon I will see my flowers too. 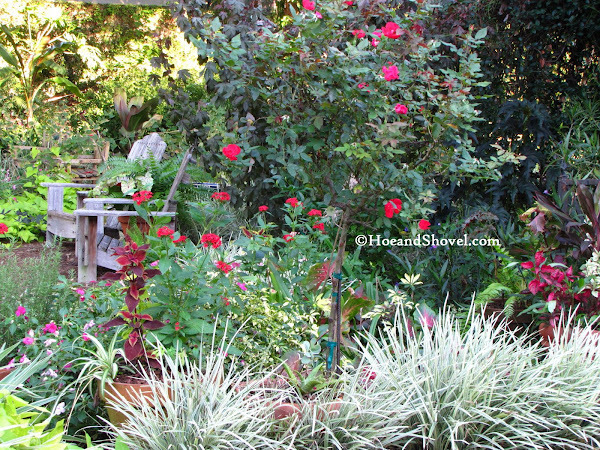 Hope you get to enjoy the nice cool weather coming up this week with time spent in your garden. I feel so much the same way. This garden brings so much peace when I can be home to enjoy it. 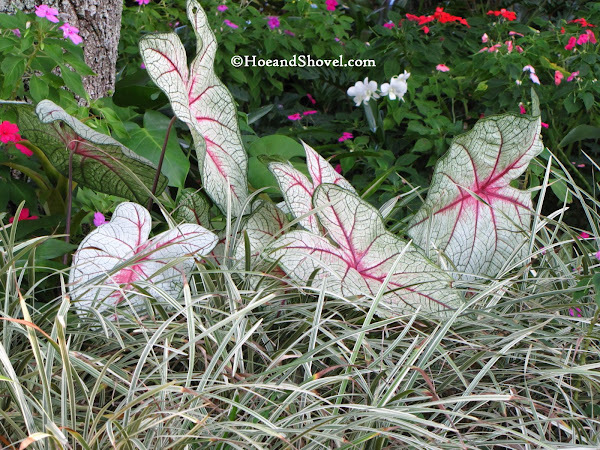 How wonderful to have caladiums still putting on a show in November! I still have a few leaves here and there, but the show is definitely over in my garden, and some cultivars have fallen completely into slumber. How interesting to learn that paperwhites grow here! Never knew that. Next time I see some, I just might grab a few! Your harvest looks fantastic and the dinner you described sounded delicious. Beautiful garden as always. Your blooms look great. That is good to know. Now I'm wondering what variety you are growing? I hope mine do well, too. Well, it is fun to think about the potential in those healthy bulbs isn't it? I do hope they will do well here. I'm putting them in the ground this afternoon. I had to go back for more, too. Even put some in a clients' garden. I do get on kicks with plants and right now it is sasanqua! Who knows what will be next. The garden is my escape, my centering place. Being a bit on the high-strung side it's probably a good thing I have it~~ I can think of lots worse habits I could turn to. :-) We'll see how the paperwhites do... I'm crossing my fingers. Oh, that dinner was a welcomed sight and hit the tummy just right. Thanks. It is comforting to know where the food comes from that we put on the table. Hi Meems...The garden definitely is a respite for me from a busy world and busy schedule. Your new camellia is very pretty. I actually like the sasanqua's better because they produce more blooms. The japonicas need a cold winter to bloom for very long...as we learned last winter. Good luck with your paperwhites. I look forward to seeing a post on them. I think I'm with you on the sasanquas being my favorite. I'll keep the japonicas, too, for a later show of color. It is nice to spread it out. Wish me luck on the paperwhites. I'll have to try the paperwhites. Do occasional freezes effect them? Can't wait to see some new Queen Emma picks!! Your garden still looks luscious. I am in envy of your caladiums. Mine didn't do well at all this yr. I did leave them in the ground from last. I didn't know that paper whites would do here. Must put them on list. To my knowledge, no, the colder temps don't seem to bother them at all. The Queen Emmas are recovering nicely from the onslaught of Easter Lubber Grasshopper damage. So nice to see their pretty foliage again. 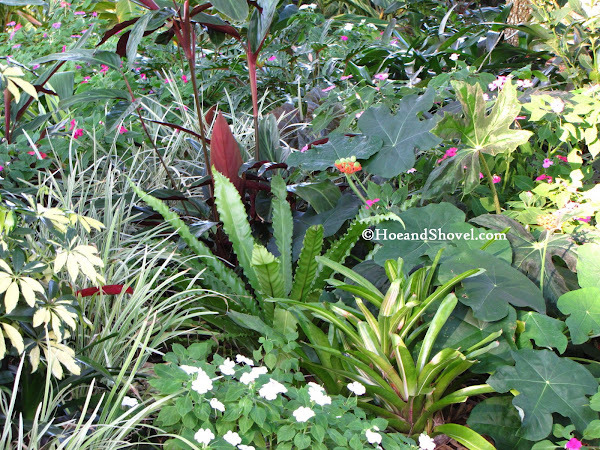 I do leave my caladiums in the ground as well. But I also always plant new ones to supplement as well. They have been good performers for many years around here so I stick with them. Meems:Your garden is always so beautiful in any seasons. Wow, those are a lot of papperwhite bulbs you purchased. I bought a papperwhite growing kit last year, after they done blooming, I tossed them away thought these bulbs are just one-time thing for us living in South Florida. Now I read more, seems I should keep them to see if they can rebloom for me this year or next. Anyway, good luck with your papperwhite, and let us know the progress, and what you are going to do with them after they finish blooming this year. It all looks so good! Wow.. If you get paperwhites this year to force indoors you might want to consider saving them and putting them in the ground just to see if you get results. If mine bloom I will leave them in the ground as they will disappear and re-emerge each year. At least that is how it is supposed to work. :-) Thanks,again, Ami. Ah yes, coming home after a time away is a wonderful feeling. I can well imagine the peace and contentment you find pottering in your various flowerbeds, and the joy of harvesting and eating your own fresh veggies. They look so colorful and delicious. 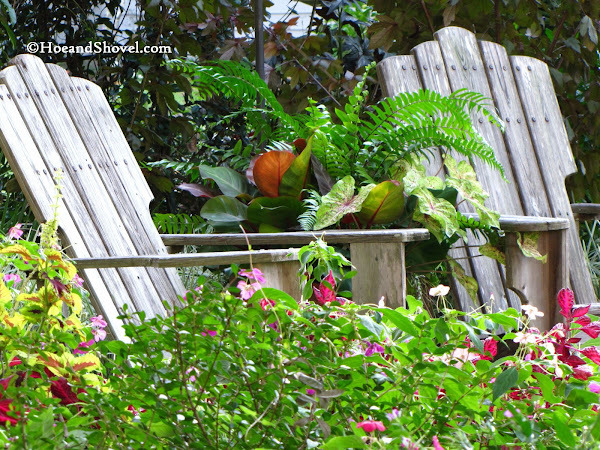 Oh my, Camelias, Caladiums, Coleus (so large and lush)....your gardens are a sight for sore eyes to me now as our northern gardens are falling asleep. I planted Paperwhites in a pot last week. Looking forward to flowers during the cold winter days.